The end of the year is a good time for reflection. 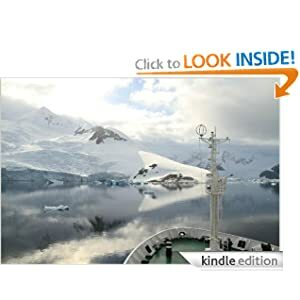 Looking back I am very pleased at having written my first travel book in 2012, Going to Antarctica, and I am happy that it is doing so well – after almost a year it is still floating around the top 50 for Antarctica travel books on Amazon. 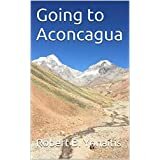 I am less than pleased with the fact that I have not finished my second travel book – “Finding your own Kilimanjaro.” However, as I did summit Kilimanjaro in the same year that I camped in Antarctica it is not so bad! I have also started back to school to get a certificate in Security and Intelligence from my Alma Mater Studiorum, ERAU. I think it is essential to never stop your education. On the topic of education I have purchased all five (5) levels of Rosetta Stone, Mandarin Chinese and I hope to learn to speak a few words beyond“Xie Xie” or “Ni Hau” (I WILL ACOMPLISH THIS)! 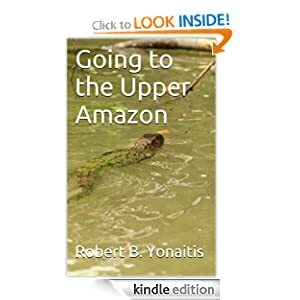 I have developed two goals last year to achieve this year – completing an Everest base camp trek (Tibet Side) and a week in the Amazon Rain Forest (Starting from Peru) http://www.expeditions.com/Destination44.asp?Destination=324 . These seem doable and I need a new travel journal or articles in the spring. From a travel perspective there are additional places to which I’d like to venture this year; Hawaii, Bali (host of this year’s UN-IGF meeting), Taiwan, Singapore, Nepal, India, and Russia. I think that would complete my goals – I would also like to take an Artic Cruise (It has been about 20 years since I have been there (http://www.quarkexpeditions.com/arctic-expeditions/spitsbergen-explorer/overview). Personal things I am trying to quit or begin – starting today; Sodas of any kind and any high sugar foods are out. I will also curtail my coffee intake – to no more than 10 espressos a day! In general getting into a good workout regimen is harder than getting into a bad one. So one thing I must do is get back into a good routine – there is no excuse for this 15-20 extra pounds I put on! In general it was a good year – but as anyone can tell you there is always the problem of doing better next year than you did in the current one. I think I can get there, I am sure it will simply take work. On a professional side – I am working at making the world a better place with some amazing coworkers – what could be better! I look to continue this and work very hard at understanding my US culture better! At the end of the day – life is for living, and I hope everyone remembers that, as it is easy to forget sometimes. I am also sure that 2013 will have its unique challenges – I hope everyone meets these with their eyes wide open and of course I hope everyone has a safe New Year’s Eve and magnificent new year. It was a great ride back from visiting Ryan at University in OSAKA.